Article: Jake Miller Just Checked Off One Of The Coolest Experiences On His Bucket List – Find Out What It Is Here! Jake Miller is definitely one of the coolest individuals on this planet – he brought out one of the greatest EPs we have ever heard and just recently, he celebrated his birthday with some fantastic news – by announcing that he’s going on a nationwide tour! Well, Jake Miller just checked off one incredible experience from his bucket list today, December 1, 2016 and it’s even more proof that this singing sensation is #Goals in every way possible. 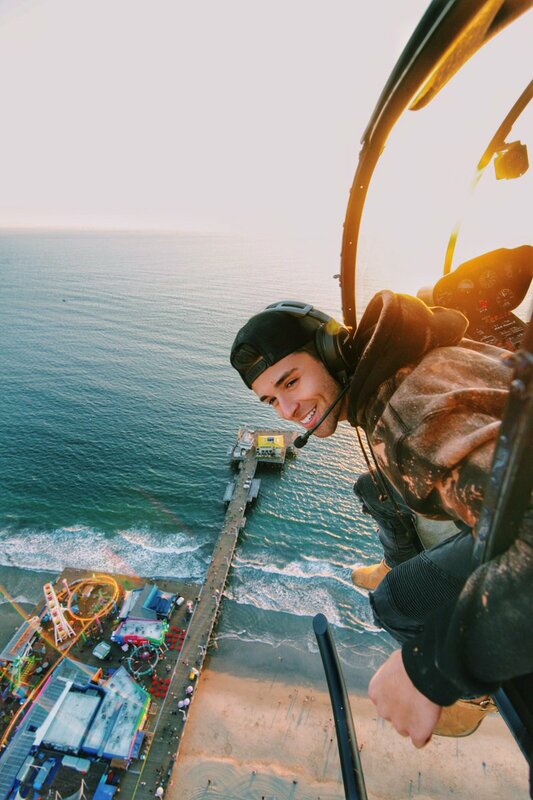 Jake Miller kicked off the last month of 2016 in an epic way by heading out on a helicopter view of Los Angeles and the photos he shared are breathtaking. It looks like Jake Miller is welcoming in his 24th year in an unforgettable way! Now, we def are adding this onto our bucket lists as well thanks to Jake’s picturesque photos. Be sure to join Jake Miller on his “The Overnight” tour – more details about the tour here. Check out more photos from Jake Miller’s super fun helicopter adventure below! Follow Jake Miller on Twitter and Instagram: @JakeMiller and check out our VIPAccessEXCLUSIVE updated interview below! Previous Article: DoSomething And Truth Orange Teams Up With Kira Kosarin To #TakeBackTheShelves And Put An End To Smoking! Next VIPAccessEXCLUSIVE: Kalama Epstein Interview With Alexisjoyvipaccess At Breaking The Chains And Glitter Magazine’s Fall Reception Event!